This patient had suffered some trauma to the upper left side of his face. Unfortunately 2 teeth were already missing and the trauma caused a third tooth to become dislodged and fall out. The gentleman came to see us asking for fixed teeth solution for the three tooth space. It was decided that implants would be placed as soon as possible in order for the space to be restored. in this case the 2 implants were placed adjacent to one another. Normally the two implants would be placed one around the position of the first tooth and another around the end tooth position. Usually the middle tooth would be suspended between the two implants. However in this case very little bone was present in the region of the back tooth. 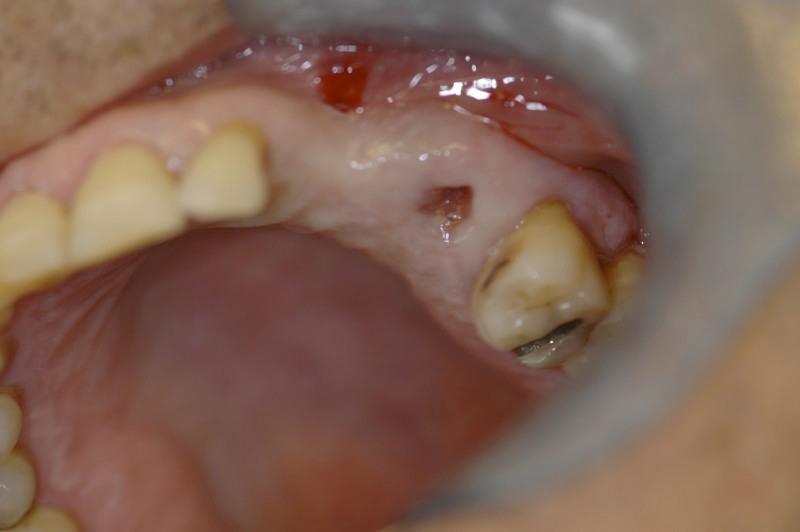 The patient was not keen on the idea of bone grafting so asked for an alternative to this. 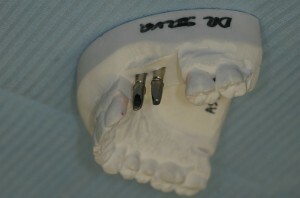 By placing the two implants next to one another it was not necessary to place an implant where there was little bone. The abutments are customized to accept the final cement retained bridge. 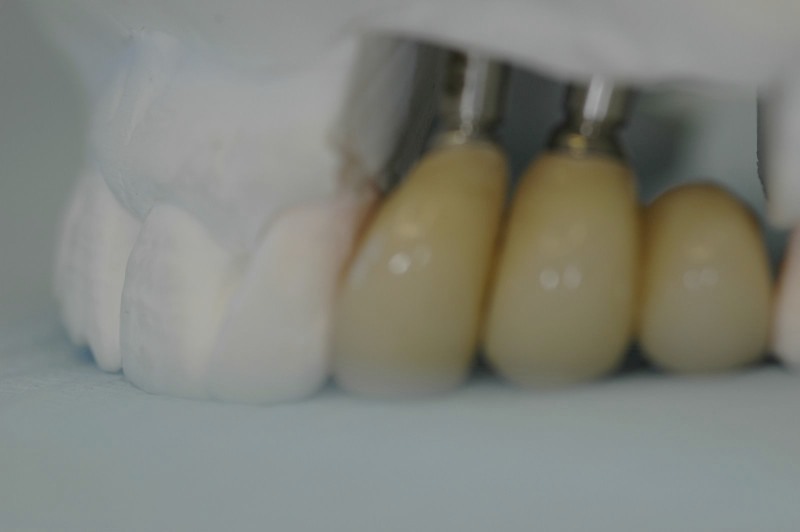 The definitive abutments are secured onto the implants by means of abutment screws. The three unit cement retained bridge is secured into position. 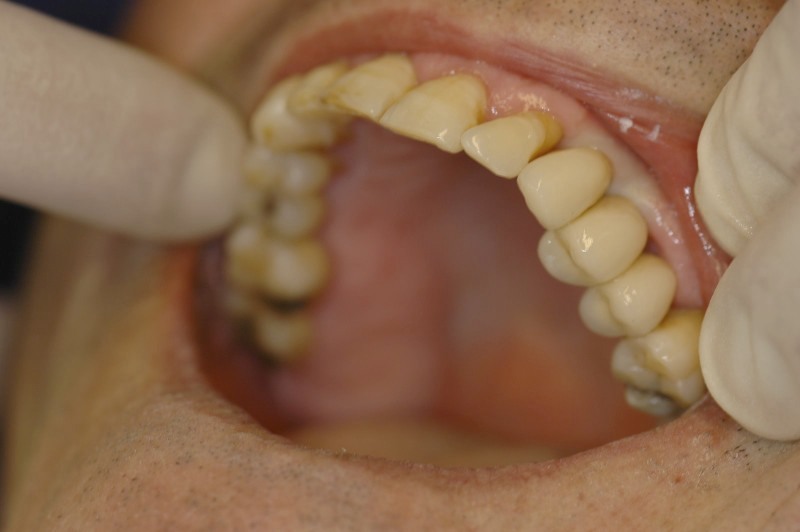 The teeth are checked for accuracy and adjusted until comfortable in the patients mouth. At a recent follow up visit photos were taken. The bridge is now in function for over 4 years and working well. The patient is very happy with the results. 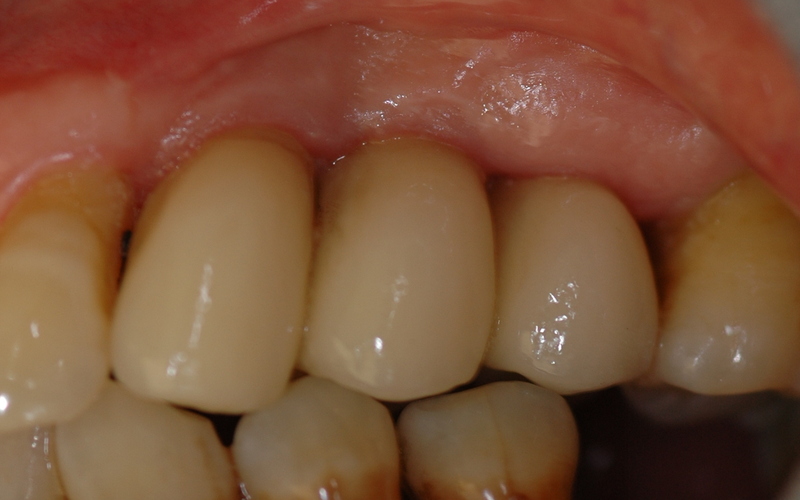 If you have multiple teeth missing why not contact us for a free assessment or Call us on 0800 111 6623. Start the process of smiling with confidence straight away !